Bosses of commercial property and construction company, The Wigley Group, have created a lasting legacy at their former senior school in Warwickshire. 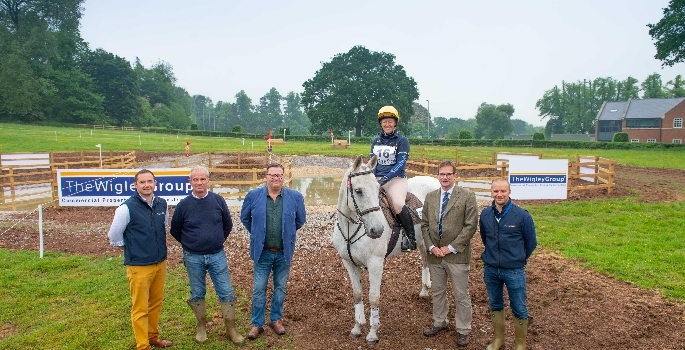 Robert Wigley, James Davies and James Ellerington, who are respectively chairman, managing director and director of operations, have unveiled a new water jump on the equine cross-country course at Princethorpe College. The College, part of the Princethorpe Foundation, has a strong equestrian tradition and the cross-country course is set within its 200-acre estate off Leamington Road in Princethorpe, Rugby. As well as being an enhancement to the course, which until now did not have a permanent water jump, the deep pools within the obstacle will be used by pupils as part of their environmental and wildlife studies. The jump was built by Wigley Building and Development, the construction arm of The Wigley Group, in time for the national riding club and schools competitions hosted by the College. The two-day horse trials were run by Stoneleigh Riding Club in partnership with Princethorpe College and The Kingsley School, and took place over the last weekend of May. The Wigley Group is main sponsor of the event, which attracted more than 250 competitors from riding clubs and schools all over the country, with Howkins & Harrison also sponsoring for the first time with plans to extend their support for next year. 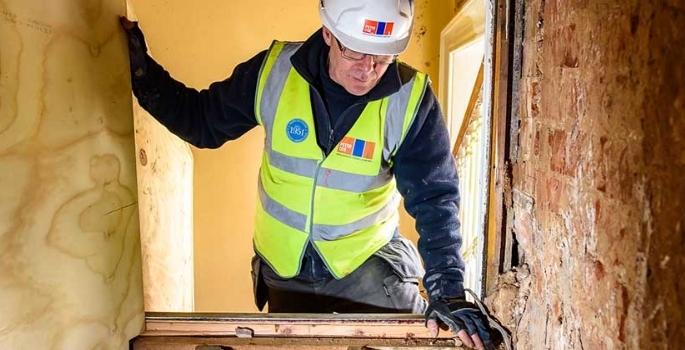 Robert said: “The Wigley Group’s connections with Princethorpe College stretch over two generations with my two children having been pupils as well as – by coincidence – myself, James Davies and James Ellerington. We wanted to create a water jump for the cross-country course that could also be used by pupils as part of their studies, and it was great to see it being cleared for the first time during the two day event. Stoneleigh Riding Club, which is celebrating its 50th anniversary, is in the 15th year of running the two day event and has held it at Princethorpe College since 2014, working closely with assistant head Alex Darkes.